The weather is perfectly fresh and crisp (I can do without the heat, unless I am on a beach somewhere). I can basically live in sweaters with leggings, boots and scarves. Fall colours are spectacular. 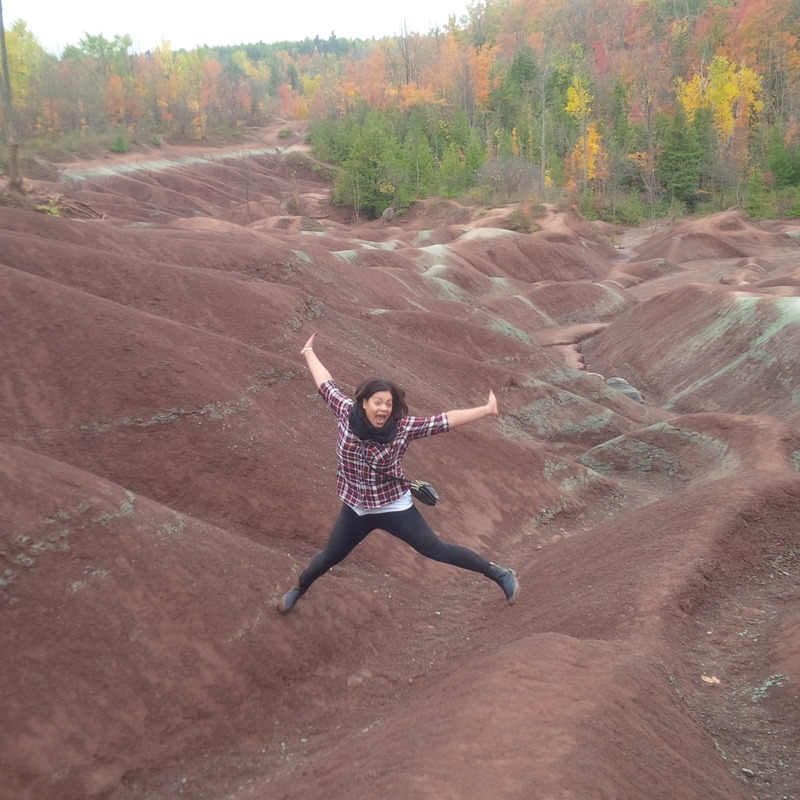 Check out this picture from the Badlands in Cheltenham, Ontario. The autumn colours make it look surreal! Let’s talk about pumpkin spice. It is a delicious blend of spices like nutmeg, cinnamon and allspice with the delicious flavour of pumpkin. Think pumpkin pie infused everything. Yes, please. I picked this up because I have often thought I would much prefer the PSL without dairy. I know that technically kills the “L” part of its name, but stick with me here. I take my coffee black, so this way I figured I can enjoy the pumpkin spice flavour in a milk free cup of Joe. 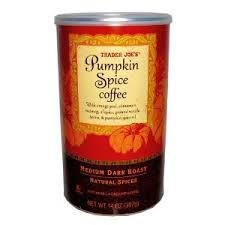 Trader Joe’s pumpkin spice coffee starts as 100% Brazil Cerrado Arabica beans. They’re roasted to a medium-dark, Vienna-style roast and it is added to a mixture of orange peel, cinnamon, nutmeg, allspice, vanilla beans, and pumpkin spice oil. I love Trader Joe’s because they do not use any artificial flavours! I really love the subtle pumpkin spice flavour in this coffee. It is a medium roast, but actually tastes like more of a mild roast to me. But, I usually like very strong coffee. Although I generally prefer stronger coffee, I am really enjoying this as a soothing fall blend. It also smells fantastic when drinking and brewing. A nice alternative to pumpkin spice coffee, is pumpkin spice tea. The one I have been enjoying comes courtesy of good old Tim Horton’s. Every time I am drinking this tea, someone asks what it is. It is very fragrant and the smell is reminiscent of apple pie or warm spices. I really enjoy this tea, and love that I can purchase it by the cup, or as a box for home. The tea is a rooibos blend and I think that is its only downfall as this is a strong acquired taste. 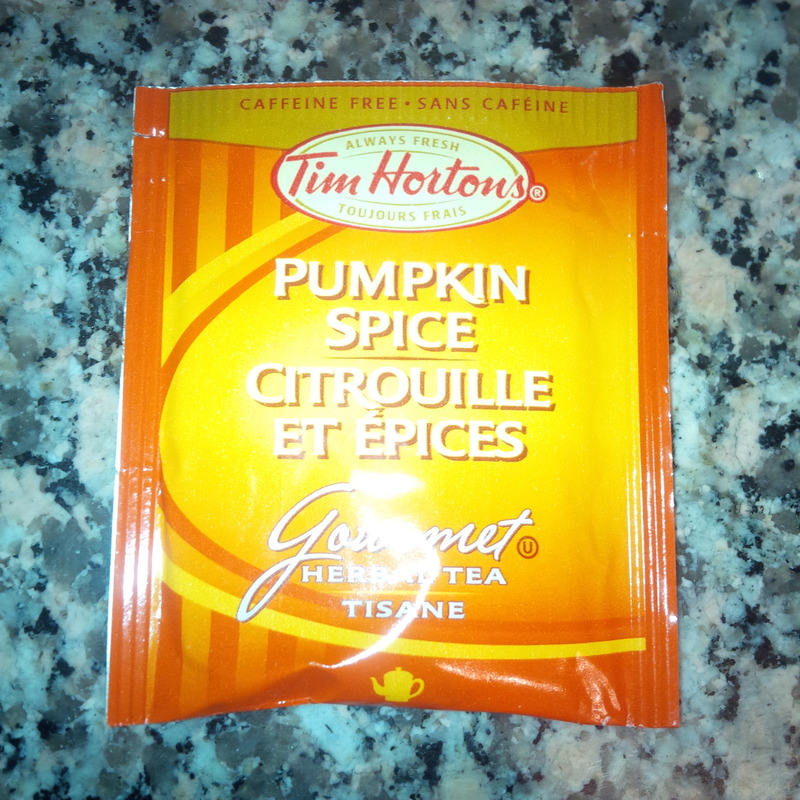 Some say the rooibos flavouring buries the pumpkin spice taste, but I taste it and enjoy it very much. This was by far the most difficult pumpkin spice treat to find. These elusive goodies are in high demand. They are even selling online for up to $20 a bag. I couldn’t find them anywhere! Then finally, about four Targets later… there they were. Along with the hardest-to-find award, I will also award these candies, most overrated. What a letdown. They taste like…M&Ms. Womp womp. I could not detect the faintest bit of pumpkin spice in these chocolates. If anyone has tried them and feels differently, please let me know in the comments. Maybe my taste buds are wonky. I have mentioned before that I am basically the world’s laziest baker. I like quick fixes that make it look like you put in much more work than you actually did. So, refrigerated cookie dough is right up my alley. This Toll House pumpkin spice dough is pretty fantastic. It contains LIBBY’S 100% Pure Pumpkin, a blend of spices and premier white chocolate morsels. The dough comes scored. You pull it out of the fridge, break it on to a cookie sheet, and bake. My kind of baking! Then you look like a fancy baker in 14 minutes. 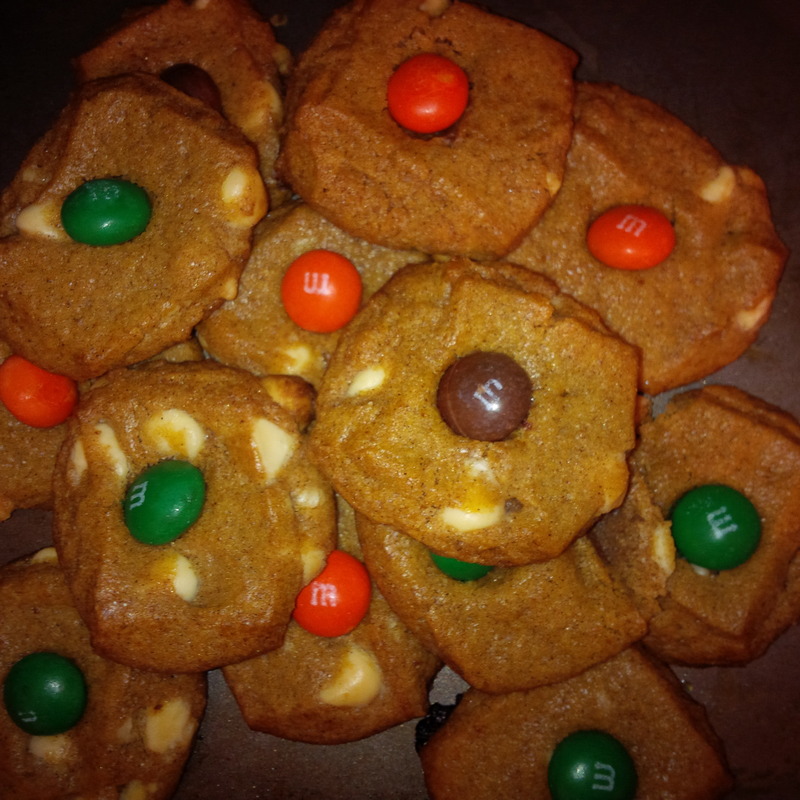 Being the Martha Stewart that I am, I even upped the ante by topping these cookies with the pumpkin spice M&Ms. I’m ready for my Food Network show, ladies and gentleman. These cookies are absolutely delicious. They are soft and chewy and you can really taste the real pumpkin in them. I will definitely be making these a fall tradition. And now for cookies that don’t require any baking, Oreos! We have seen many varieties of this classic cookie over the years. I have seen watermelon, coconut, candy corn and golden Oreos. Usually I prefer a more traditional Oreo cookie, but pumpkin spice was once again calling my name. 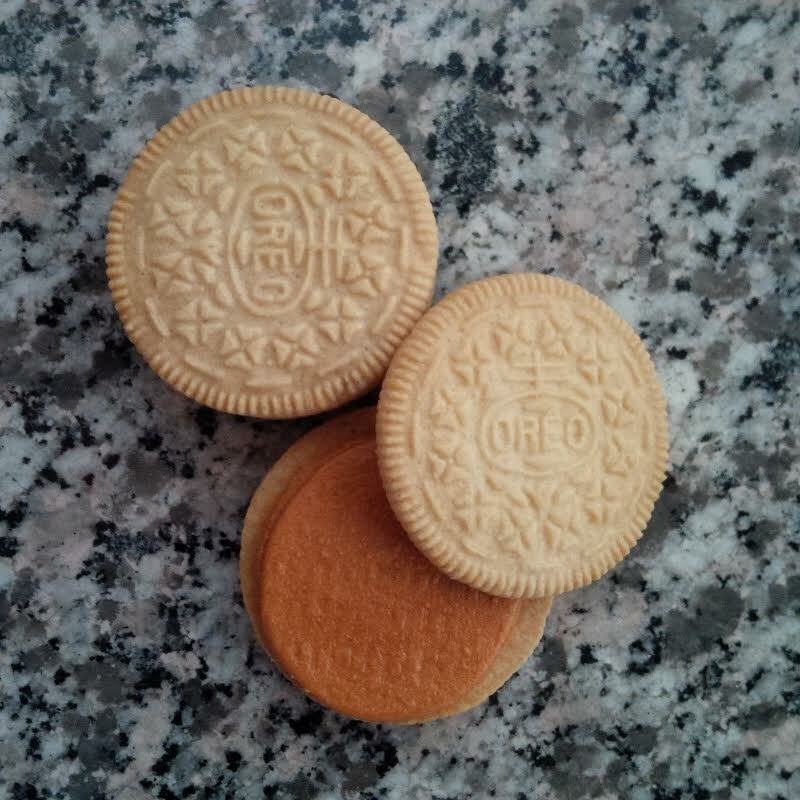 The pumpkin spice Oreo is the same cookies from golden Oreos sandwiched around a pumpkin spice flavoured cream. I absolutely love these! 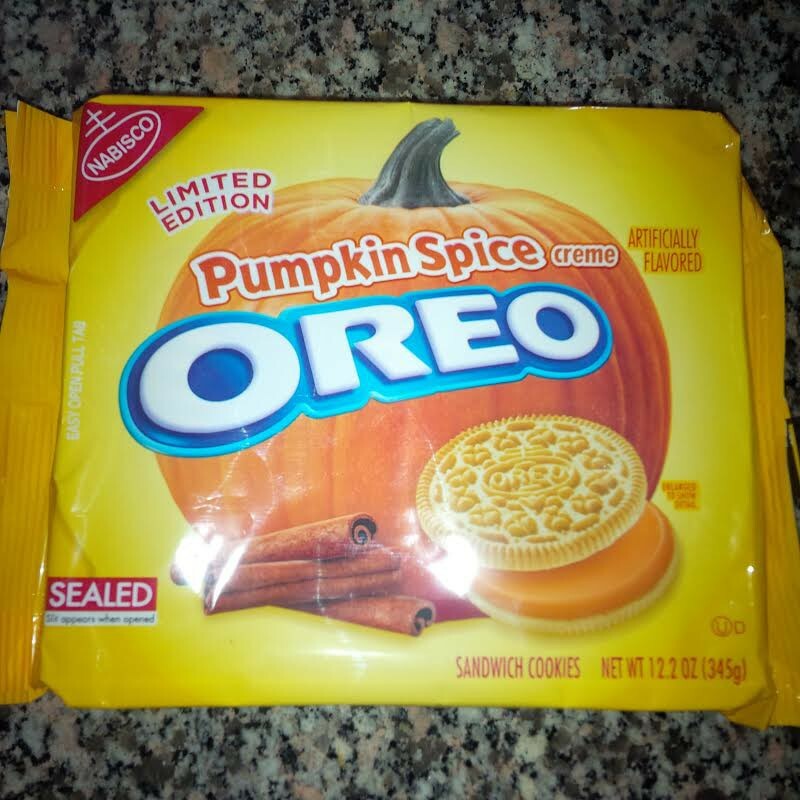 They somehow taste like they have more filling than a traditional Oreo, and it tastes like a pumpkin chai frosting, if that were such a thing. My friend said that it would be absolutely perfect if the cookie parts were cinnamon flavoured. Are you listening, Nabisco? Yet another Trader Joe’s selection. 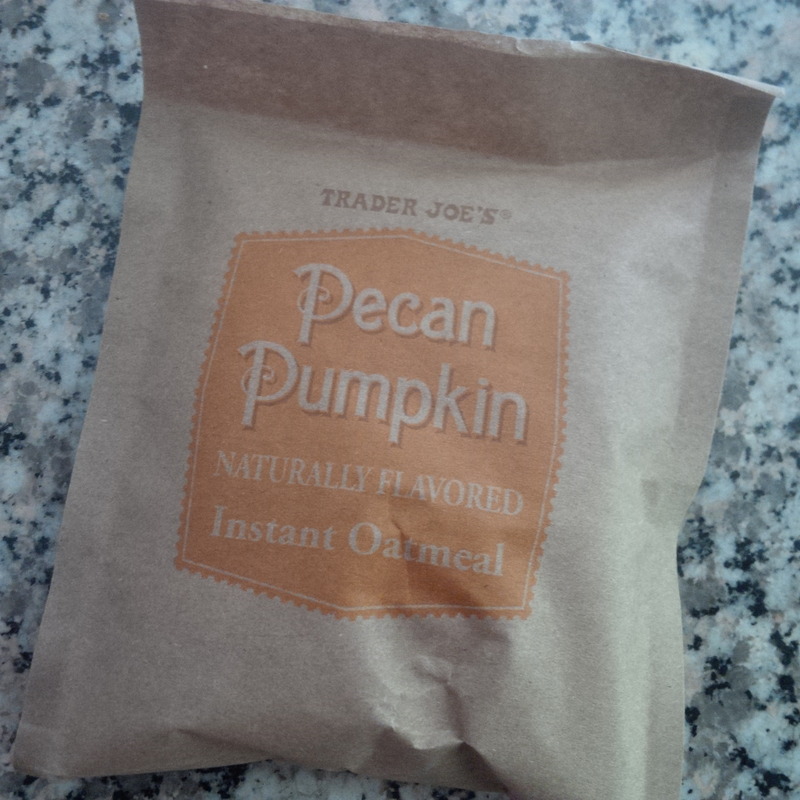 This instant oatmeal comes in individual packets that you can make in two minutes in the microwave. The oatmeal was tasty and not too sweet, which I appreciate. 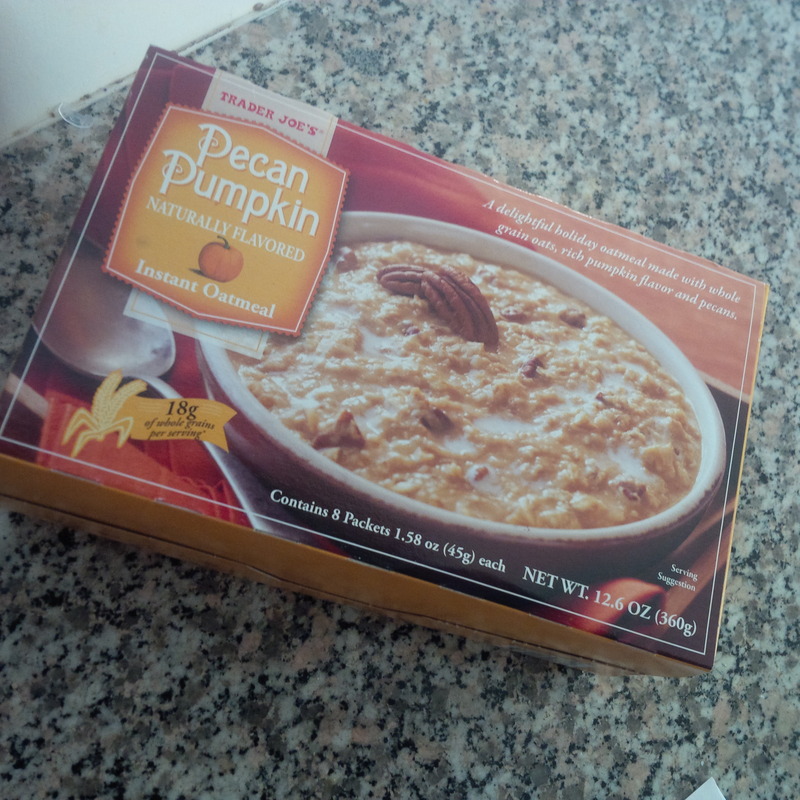 While I tasted a bit of pecan, I didn’t find the pumpkin flavouring very strong at all. It did not stand out to me from a regular bowl of instant oatmeal. 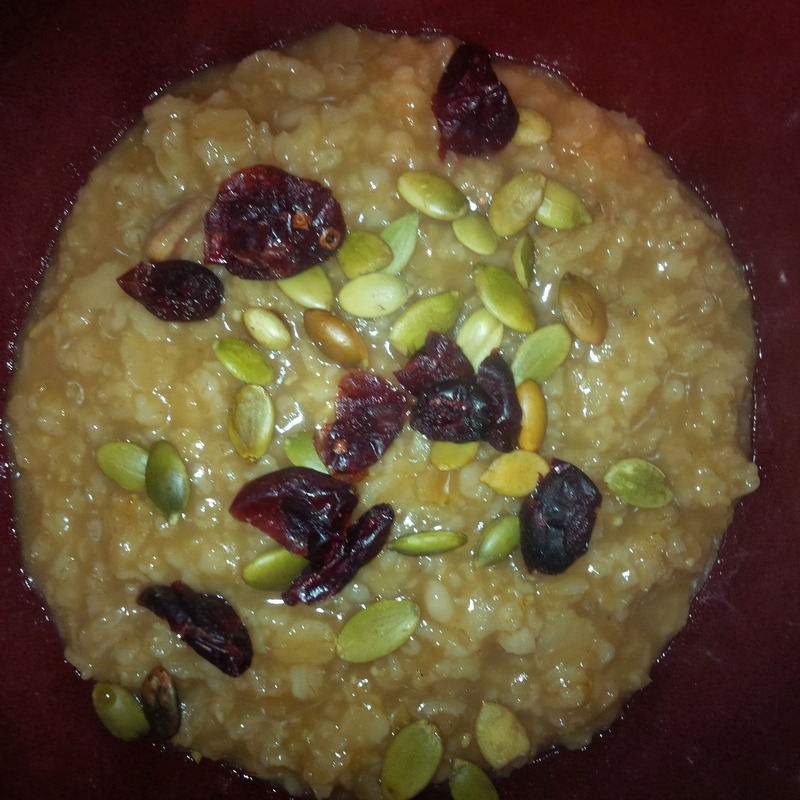 I added pumpkin seeds and dried cranberries to make it a bit more flavourful. 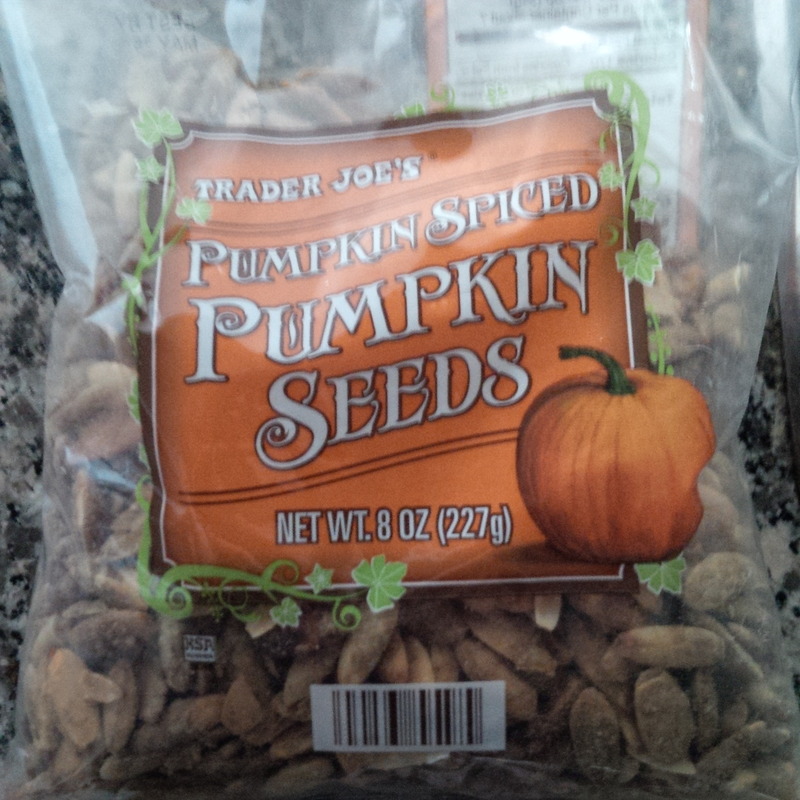 Trader Joe’s Pumpkin Spiced Pumpkin Seeds are hulled pumpkin seeds (also known as pepitas) that are roasted and treated to a butter-sugar toffee glaze, then seasoned with traditional pumpkin pie spices—cinnamon, ginger, nutmeg, and allspice, and kettle-roasted. These pumpkin seeds are genius. I mean, pumpkin spiced pumpkin seeds? Yessss! They are absolutely delicious and addictive. Think praline pumpkin seeds. I would like to purchase these by the truckload on my next Trader Joe’s visit. So there you have it, a “haul” of sorts. ‘Tis the season for pumpkin spice. Please let me know if you’ve got pumpkin spice fever too, and what I should get or forget this season. I’m not a fan of lattes in general, and don’t like the PSL at Starbucks (I love that there is an acronym) – but I love cinnamon and allspice and I adore pumpkin pie, so there are some items in your list that I would definitely try. I heard on the news that a woman went around to Starbucks locations all over the city to get enough latte mix to last her the whole year – that is dedication (or lunacy maybe). 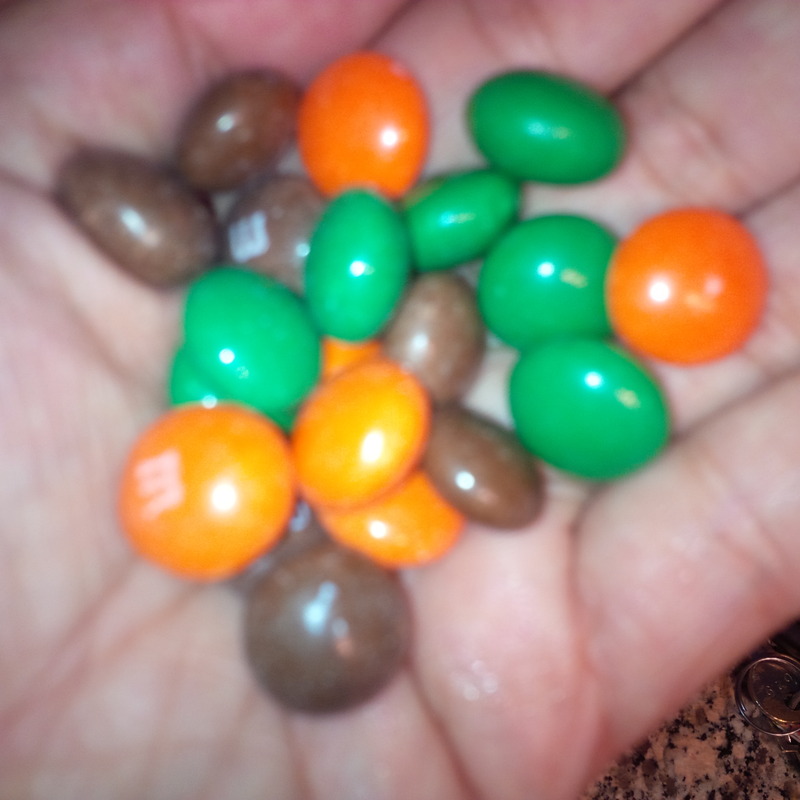 It is so amusing that people are selling M&Ms online for that much and then they didn’t taste like pumpkin. LOL, gimmicks. So…. What I took away from this – you love pumpkin spice? Feel free to correct me if I’m wrong, though.